This email is to make you aware that from 14th December the Borough’s 24/7 Police Station front counter facility will be moving from Uxbridge Police Station to Hayes. 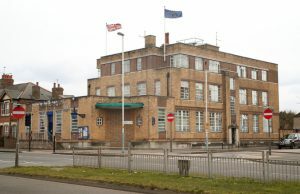 Uxbridge Police Station front counter will then be closed to members of the public, the police station will remain operational for some time to come. I would like to take this opportunity to reassure you that this change is in line with our plans to modernise the Metropolitan Police Service and that there are still many ways in which our communities can engage with us. There is more demand for police to be contactable on line, and we have responded to this by improving our digital and telephone reporting systems. Local research has shown us that fewer than three reports are made via Uxbridge front counter per day and that making these changes will save the MPS £460K per year – the equivalent of 8 police constables. Most crime is not currently reported at police stations. Just 8 per cent of crimes were reported at police front counters in 2016, down from 22 per cent in 2006, and this number continues to fall. Where there’s not a police building on or within close proximity to a Dedicated Ward Officer’s ward, we’ll be creating additional ‘hubs’ for them – small back offices where they can pick up their kit – to enable them to spend more time in the communities they police. These new hubs will be created at locations that supports community policing, and we will be engaging in the coming months to identify these locations across the Borough. The hubs will be accessible 24/7 and located either within existing Met buildings or suitable partnership buildings, such as with: Blue Light partners; local authorities; hospitals; or with commercial services where there’s an appropriate relationship. Over the next three years 150 hubs will be rolled out across London. In addition to these measures, we recognise that there are members of the public who still wish to make face to face contact so we will be introducing contact points. Our Dedicated Ward Officers will hold a minimum of a one hour community contact session per week per ward. The dates/times/locations will be advertised as soon as these have been finalised. For wards identified as having over 60 minutes travel time to the nearest front counter, an enhanced session will be held twice a week at a Safer Neighbourhood base or fixed place which will be retained for six months whilst we assess the effectiveness of these sessions. Services offered at both sessions will include, crime prevention advice, property marking, crime reporting, and signposting to other Met or partner agency services. May I take this opportunity to thank you for your continued support as we make these changes, and to reassure you that we will continue to remain contactable and visible. The savings mentioned will only start once Uxbridge Police Station is closed and sold off, a process that could take over a year to complete. Until the sale happens it seems unlikely that the move of the public counter to Hayes will save any money. The decision to move the public counter to Hayes before the sale of Uxbridge is one made by MOPAC, which the police are following, and, according to Inspector Bryan, making step changes is not unusual as doing everything at once can often prove problematic. The 24/7 access referred to for the community hubs is for police officers, not the public – these will not be public-facing facilities. Ruislip Police Station’s public counter remains open, staffed by volunteers, at the same times as previously. MOPAC will be holding a public consultation in Summer 2018 to determine the future of volunteer-manned public counters.